HPW-36, Analog Mixer from Crest Audio in the HP series. Crest Audio introduces the HP-W professional mixing console, a continuation of its HP-Eight™ Series consoles. The HP-W is available in 28-, 36- and 44-standard mono input frames, with four full stereo channels, eight mono Automix™ channels (automix is a gain-sharing protocol that allows increased gain before feedback) and two stereo line returns. The HP-W mixing console features a four-band, double-swept mid EQ, eight analog subgroups, 100 mm faders, two-channel matrix, talkback and monitor systems, eight-scene mute, a stereo ambient mic input and two alternate outputs with processing. The console also includes 10 aux sends on each input channel with fader flip functions to enable use as a monitor mixer, plus four stereo line input channels with EQ, assignment and aux sends capable of handling dual-mono or split-track signals. The HP-W is available now from authorized Crest Audio dealers. 44, 36 or 28 standard mono input channels. Eight mono gain-sharing Automix™ input channels. Four fully stereo input channels with assignments that can also handle dual-mono or split- track applications. Two stereo line returns on 60 mm faders with assignment and two aux sends. One stereo ambient mic input with four aux sends. XLR and ¼” connectors on all mono inputs. Individual 48-volt phantom power, mic/line and polarity reverse switches on all mono input channels. Fader Flip function on aux outputs places aux masters on faders in place of groups & L/R. 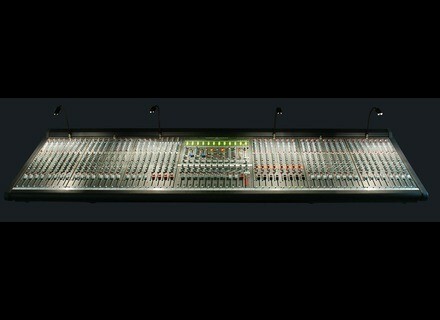 100 mm faders on mono inputs, auto mix inputs, stereo inputs, groups and separate left, right and mono outputs. Two alternate outputs that can be sourced from L, R, M or matrix outputs (stereo compressor, expander and limiter on both). XLR connectors on aux outputs. Full talkback and monitor systems. Internal power supply with provision for external, redundant supply. Modular input blocks of eights channels for ease of service. [NAMM] C&T Naked Eye Roswellite Crowley and Tripp announced today the release of the Naked Eye Roswellite™ ribbon microphone, coinciding with increased production of the company’s nanomaterial processes. [NAMM] Tascam DR-1 Tascam launches DR-1, an affordable portable recorder working with 1GB SD Card.